Epic Games designer Cliff Bleszinski has evidently been dragging the Gears of War series down ever since he became addicted to fruit pies. Alleged EA insider "EA Louse" isn't the only one airing the dirty laundry of the company he works for. An anonymous employee named "Anonymouse" that works alongside Cliff "Cliffy B" Bleszinski at Epic Games on titles such as Gears of War has revealed that the longtime game designer has a terrible addiction to fruit pies, and it's dragging the company down. "Everything you think you know about 'Cliffy B' is a lie," Anonymouse wrote in an exposÃ©. "He is hopelessly addicted to Hostess Fruit Pies and it is ruining his life." Anonymouse points out that many design decisions implemented in Gears of War and Gears of War 2 were made not by Bleszinski, but by the "20 lemon flavored Hostess Fruit Pies" he was consuming "every day." He says the choice to include female soldiers in Gears of War 3 after keeping them out of the first two titles was made because "[Cliffy B's] brain is wired differently since he switched to Cherry flavor Hostess Fruit Pies." And who knows what could happen if Bleszinski switches flavors again. Anonymouse reveals that "few other people have noticed the piles of empty wax paper wrappers tucked away in Cliff Bleszinski's closet," so this is an addiction he's been able to keep secret for years. You've got to wonder how someone can function when pumped full of so much tasteless crust and artificial fruit filling. Anonymouse could be an employee with an axe to grind with Bleszinski, or he could know exactly what he's talking about. Or this could be an obvious joke in response to recent anonymous videogame industry bashing, and a funny one at that. You decide. UPDATE: Bleszinski has tweeted: "I hang my head in shame, for it is largely true." Guess this isn't a rumor after all. "...piles of empty wax paper wrappers tucked away in Cliff Bleszinski's closet"
Watch out for that anonymouse. It knows about your fruit pies. This story made me laugh. I really don't blame him. Hostess are pretty damn addicting. LOL nice way to rip back at anon blog bs. Hahaha that's hilarious. Massive kudos to whoever the guy who did that is, and to Cliff for playing along. This is more a parody of the IceFrog one than the EA Louse one. OH MY GOD! But if this one was true, then that means that the other one must also be completely true too! Heh...not that I really care much for the stardom of the big superstar names of videogame industry, but to be honest this kind of info on them is probably on par with the controversial ones so - nice work mouse for the image of Cliffy B making decisions while munching down on those pies. 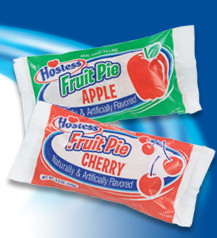 HEADLINE: Hostess Fruit Pies, addicting treat, or MURDER SIMULATOR FUEL? tonight on Fox News. OT: I for one like the pecan and chocolate fried pies, but I think its safe to say that everyone loves pie. Anyone else want to join me in making up Pseudonyms just to spread hilarious stories that aren't necessarily true about the gaming industry now? Next I suppose we're going to be treated to an anonymous posting about how Tim Schaffer has been having a secret love affair with a bucket and how it is the reason why everyone in Psychonauts looks like their heads were beaten with (you guessed it) a bucket. So? If he makes good games then what does it matter what he likes or doesn't like? Sounds to me like someone is exaggerating the facts. Sorry, lame joke is lame. Gaming industry could use a little humor in these dark days. This was funny. "As an ex-Hostess employee, I can corroborate Anonymouse's story (and no, I'm not a viral marketer for Little Debbie) - Epic's main offices provided for 43% of our orders nationwide, though he's got the facts severely bent. The calls continued for about a week until a production officer (who we'll call 'Raspberry Toothache') reached out to PR and made the connection through Epic's official channels - poor Cliffy had been crunching late late late into the night, and in a cherry-flavored fever haze of debugging and scripting dialog for GoW3 on expired milk cartons, mistook the customer service number on the back of our treats for Mark Rein's secret 'emergency snack supply' phone line. Apologies were made, and this is when the alliance began - a secret deal between Hostess and Epic (informally, the 'Epic Hostess Megacake Project') that would produce the doomed Frag Cakes line, flavored with a crimson carmelized toffee made to simulate the unique texture of freshly-stomped Locust tissue matter. The cakes were a disaster, costing the company 720$ million in research and development and causing hundreds of focus group testers to swear off solid food of any kind for weeks. I'm telling you, if you think making games is a rough business, the synthetic convenience snack treat industry will eat you alive - no pun intended." One of the replies to the main post. Now we know where he got the idea for Nali healing fruit from. Hah! Cliffy admits that it's largely true. This was certainly a funny article! I'm more of a donut person myself. I'd say I was disappointed but I saw this one coming. Are people actually taking this as a real story? I've seen no indication that this is the case. Coupled with the fact that I've seen weirder things. I LOOKED UP TO YOU CLIFFY B!!!!! HOW COULD YOU! From Tom's original post: "Or this could be an obvious joke in response to recent anonymous videogame industry bashing, and a funny one at that. You decide." This is obvious satire. We thought it was funny enough to report on. About time somebody exposed the swine. OT: Honestly, I couldn't stop thinking about Bobby Hill when I read this post. Could it be that CliffyB is actually Bobby Hill in disguise?! Nah, of course he's not. CliffyB makes manly games. Bobby would just make a game about magic. OMG, fruit pies pwn... I am so thankful for a quick metabolism, cuz otherwise I'd probably be a fatass from all teh junk food I eat, including pies like these... No offense to the "morbidly obese" intended. Really though, good stuff. Man obviously has good taste. I'm a cherry guy myself. Anyway, I immediately think this is Cliffy B's way to parody EA Louse, etc. Seriously, it seems like something that crazy man would do. I lol'd. I personally would go for the cupcakes, but hey, that's his deal.